In the ISO Committee, the scuffing load capacity calculation for bevel and hypoid gears is currently in draft form, and has been implemented so in KISSsoft. This method is mainly applicable for hypoid gears, and it also takes into account effects such as the running in of GL5 oils. The backlash (as the tooth thickness allowance) according to ISO, Gleason and Klingelnberg is now available for bevel gears, which is especially helpful in the bevel gear design process, because the manufacturing principle is not yet defined in some cases. We invite you to attend the fifth SMK in Rapperswil between 27th and 28th November, where you can find out more about this topic. 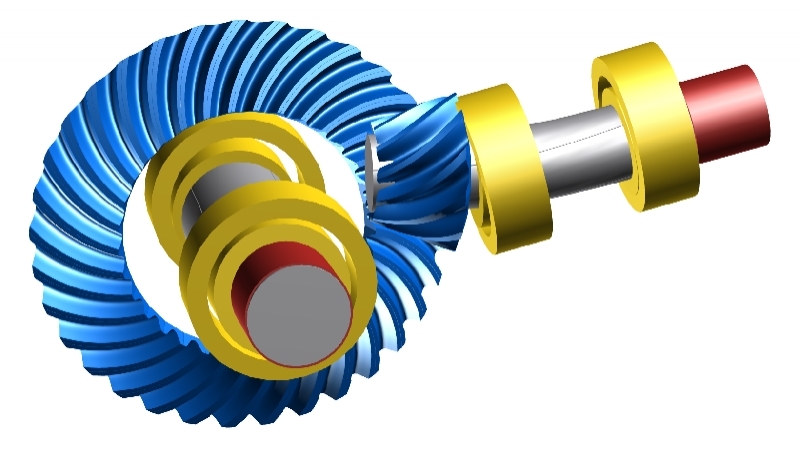 Among others, Dr. Joachim Thomas from ZG Hypoid GmbH, Mr. Frederik Mieth from the Technical University Dresden and Mr. Jürg Langhart from KISSsoft AG will give presentations on "bevel gears". You will find more information in the conference program. You can also reserve one of the last free places for the advanced training Gear Design and Optimization, which will run from 25th to 28th September 2018.